1,400 km/s (3.1 million mph). If so, the coming days might be good for aurora-watching. This region on the sun – sunspot AR2297 – has released 7 moderate M-class flares in the last 5 days. 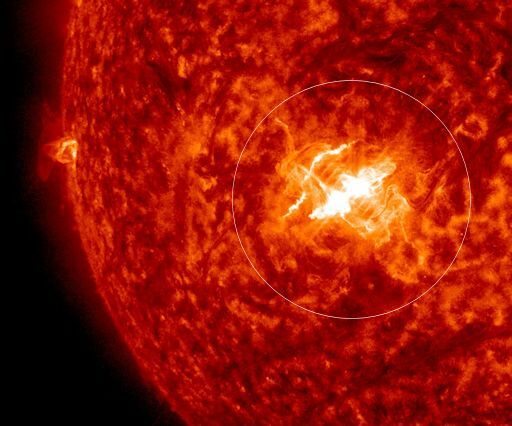 Bottom line: A strong Earth-directed X-flare erupted from a large active region on the sun – AR2297 – earlier today. The flare happened on March 11, 2015 at 16:22 UTC (11:22 a.m. CDT).